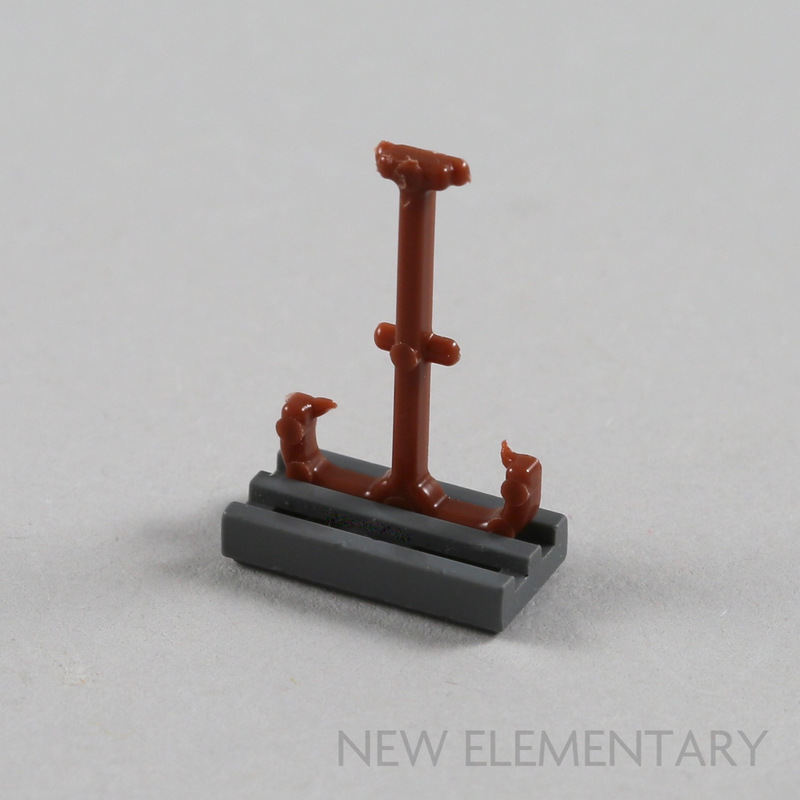 The sprue is fairly even in depth all around so two sprues can be held together by a minifigure hand in any position. The points that connect the sprue to the wand are a little thicker so it can be a little tight there, but the plastic is more forgiving than that of a regular LEGO element. There are two main ways I found to connect the sprue; firstly, it fits snugly between the gaps in Radiator Grille 1X2 (Design ID 2412). But my preferred connection was in the slotted base of the Mini Antenna ‘lever’ (Design ID 73587) with the lever removed. Both of these connections work whether you leave the wands on the sprue or remove them for use. 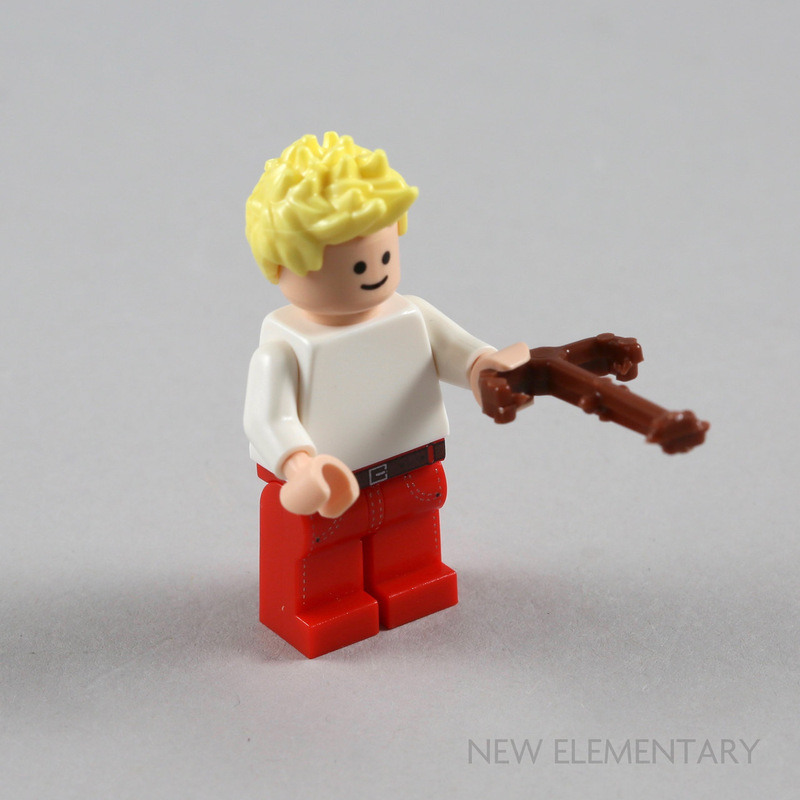 If the wands are still on the sprue, this obviously adds more potential connections. 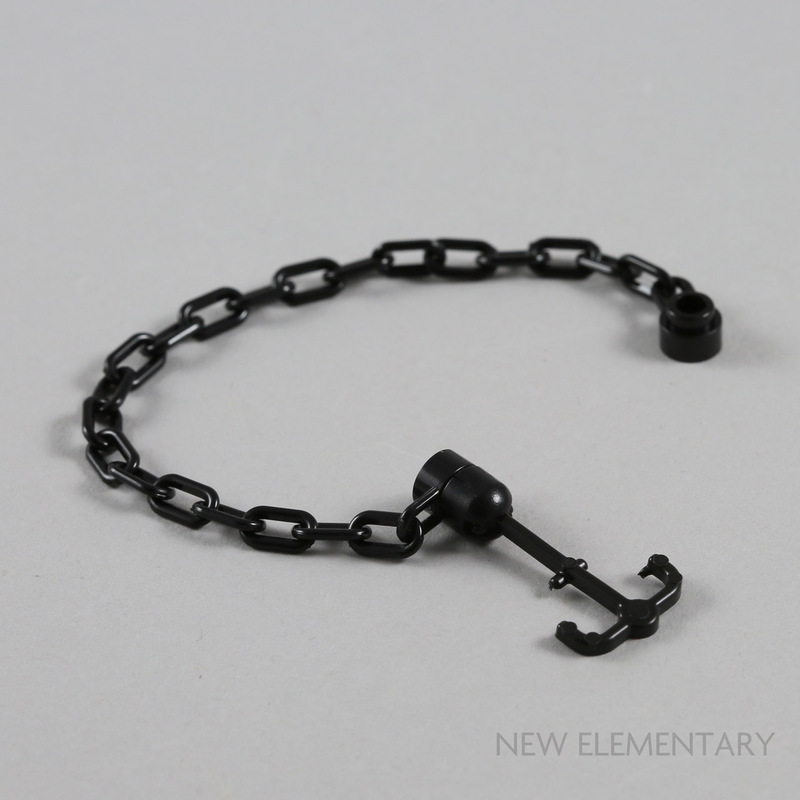 The central thickened band is 3.18mm, so any clip will fit. 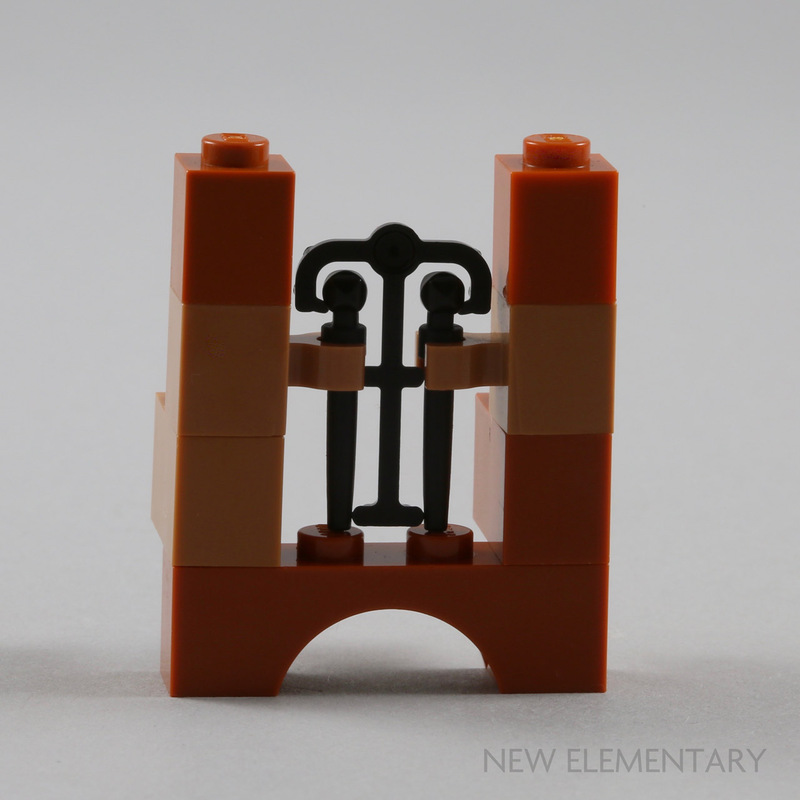 I found that the gap between the two wands was slightly less than two studs. 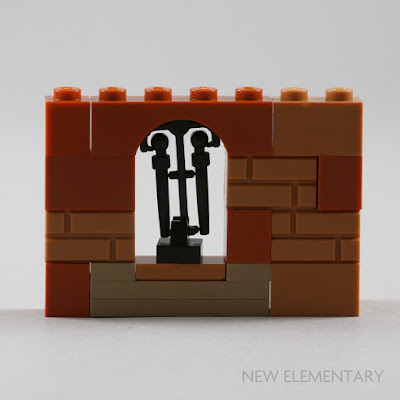 As you can see, using two Brick 1X1 W/Holder Horizontal (Design ID 60475) connecting with the wands, the thinner end of the wands are not sitting perfectly centrally over the studs (tap/click any image to enlarge) but it still holds. 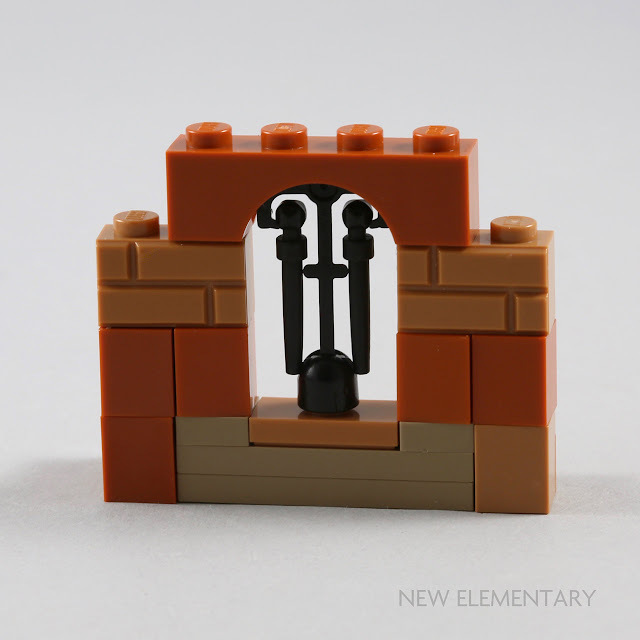 On my post about the wand, New Elementary reader Hobbythom asked about the curved shape at the top of the sprue and whether it fit any LEGO arches neatly. 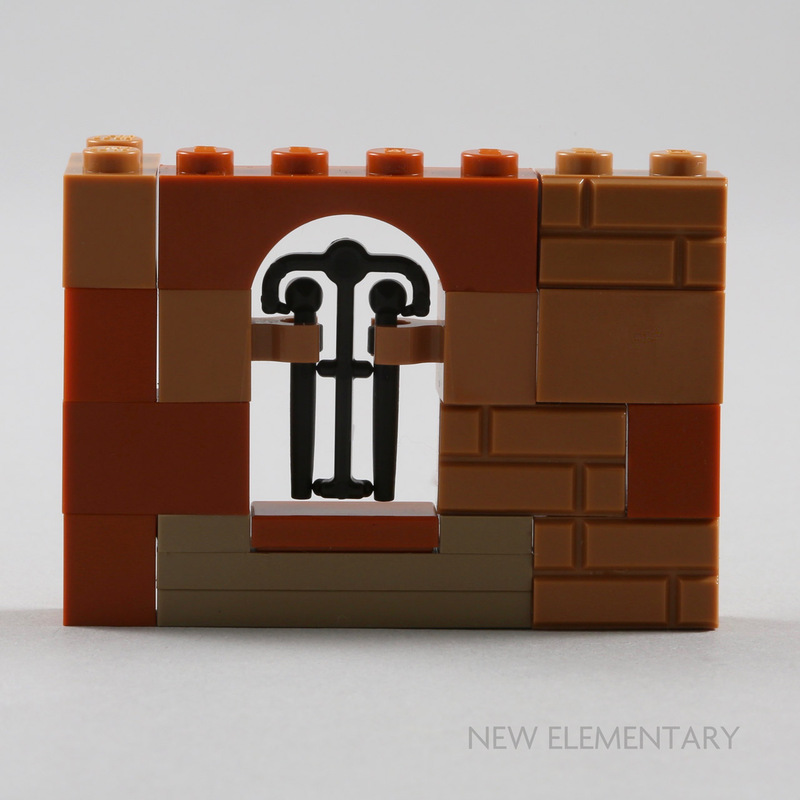 The image below uses a Brick W. Bow 1x4 (Design ID 3659). Again, you can just see below that the wand on the right is slightly off-centre within the clip. When placed into the arch, the remaining length of the wands on sprue is approximately four and a half plates in height. I played around a little to see how best to ensure a neat, secure fit. 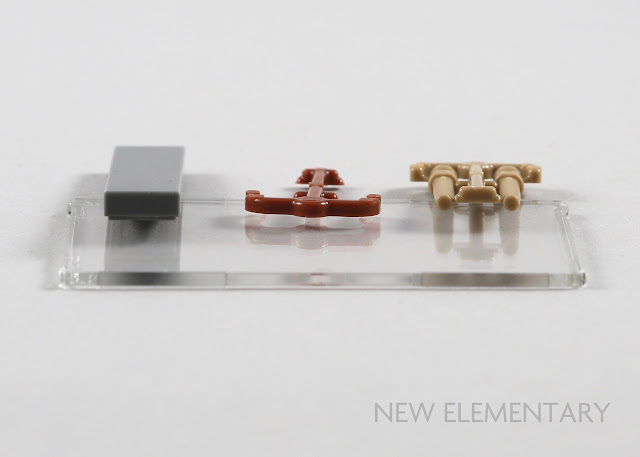 Using a five-plate -high gap was too large and the sprue would fall out. Using a Plate 1X1 W. Up Right Holder (Design ID 2555) to ‘trap’ the sprue was enough to stop the sprue from falling out but allowed too much movement. At this point, I realised that the Mini Antenna ‘lever’ (Design ID 73587) would be perfect. 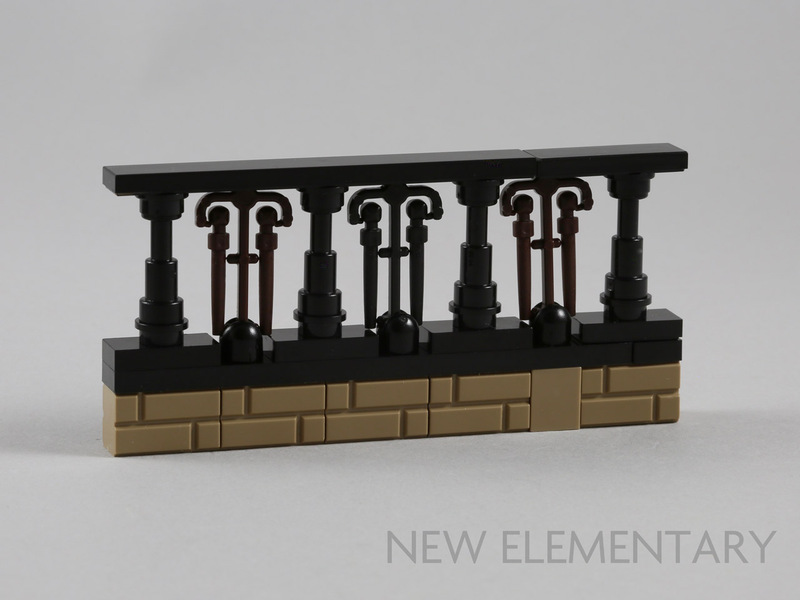 With the wands still on the sprue I think it looks like decorative ironworks, perhaps for fencing, railings or windows. 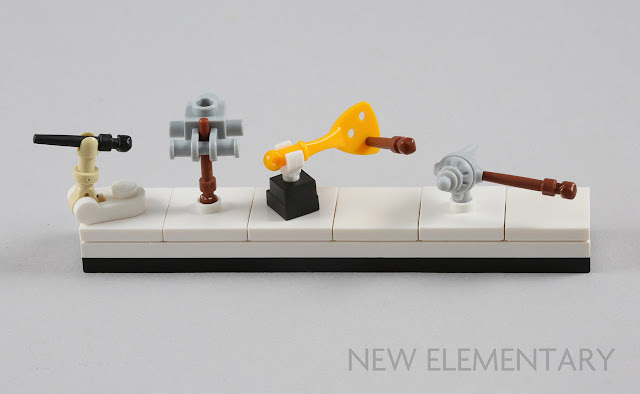 What other uses can you imagine for the spurious sprue? 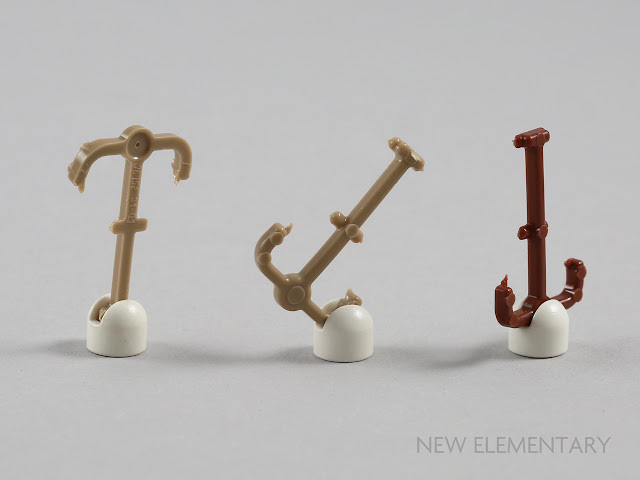 While exploring the wand and sprue, I found a few more wand connections. Only the first of these, using Skeleton Arm (Element ID 4142875), still works with the wands on the sprue. 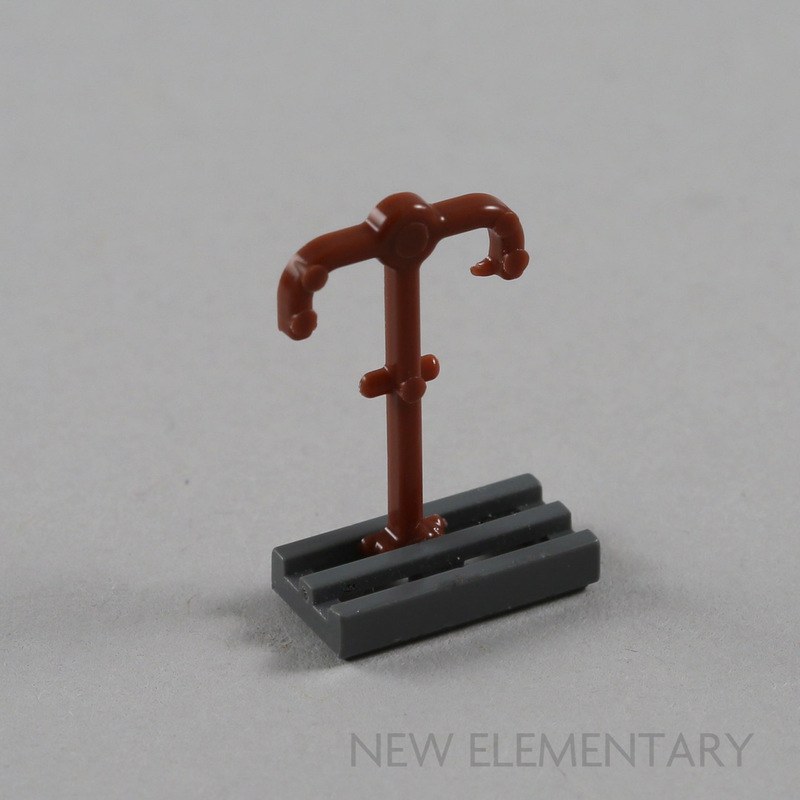 The two wands on sprue (Design ID 36752) are available in the following sets (excluding those to be supplied in LEGO Minifigures 71022 Harry Potter and Fantastic Beasts). Links in this list all go to Amazon USA; if you're buying your LEGO Harry Potter sets from Amazon, please consider following our affiliate links to get there! It sends a few pennies our way and helps us carry on publishing. Excellent! Precisely what I was wondering. Thanks for the articke! Awesome article! Really fun to see this. When I first saw the sprues I knew they would explode in AFOL world, just wasn't sure if the geometry would work out, but leave it to TLG! I don't know that the geometry really did work out ... close enough though! 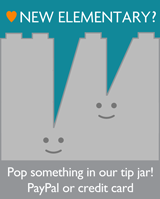 ELspeth - LOVE your ideas! I fell in love with your ‘wrought iron’ fence (built on the profile bricks) and started to build a few modules for a future MOC with the parts I have already accumulated – However – I have found out that there are two versions of this part (I remember someone pointing this out but dang if I can’t find the post anywhere); the “T” used here and a simpler “I” with just a small paddle top. 2. Anyone with volume as the “I” version.